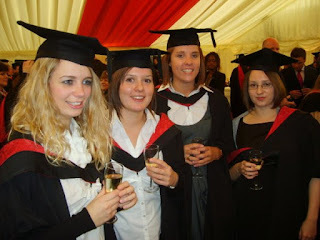 The last couple of days I have been attending the graduation ceremony for last year's students at UWE. 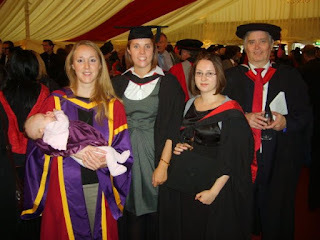 It was the first time I had attended one, having chosen to get my degrees by post. Felt kind of weird parading around in fancy dress but was great to see last years crew and share their big day with them and their parents. I have been promised that I will be sent photos by a few and will post them up when (and if) they arrive. I was really surprised that even in these difficult times the majority had gone on to 'graduate' jobs or higher degrees. Even more surprising how many were in fields directly related to criminology. Hopefully some of the critical ways of thinking will have stuck and they will question lots.